Launched in June 2016, the Wells Fargo Cash Wise Visa® Card jumped into the popular flat-rate cash-back credit card market with its offer of unlimited 1.5% cash back on all your purchases. But this card from Wells Fargo, the bank known for its stagecoach logo, offered something a bit different to set it apart from the other flat-rate cards on the market: Cardholders can earn 1.8% cash back on their mobile wallet purchases, like Google Pay™ or Apple Pay®, made during the first 12 months from account opening. Plus, new cardholders can earn a $200 cash-rewards bonus after spending $1,000 on the card within the first three months. The Wells Fargo Cash Wise Visa® Card comes with no annual fee, making it an easy card to carry even if you aren't a heavy credit card user. You have nothing to lose in that there's no annual fee to offset by earning maximum rewards. And who doesn't appreciate getting something for nothing? Additionally, you can take advantage of a 0% intro APR for 12 months on purchases and balance transfers (fees apply), then a 16.24%-28.24% Variable APR; balance transfers made within 120 days qualify for the intro rate and fee. So the Wells Fargo Cash Wise Visa® Card could be worth checking out if you have credit card debt you'd like to consolidate or a large purchase you'd like to make in the near future. New cardholders earn an introductory cash-back bonus of $200 after spending $1,000 in the first three months, and new card members also enjoy a reward rate of 1.8% cash back for the first 12 months when you use your mobile wallet such as Google Pay™ or Apple Pay®, otherwise it's 1.5% on all purchases. Redeem your cash rewards in a variety of ways, including directly from a Wells Fargo ATM. Pay your cellular bill with your card and get up to $600 of protection on your cell phone (subject to a $25 deductible) against covered damage and theft. At 12 months, the 0% APR period for purchases and balance transfers is a great feature (then, 16.24%-28.24% Variable). Remember that fees apply and transfers must be made within 120 days. While it does offer a reward percentage boost for using your mobile wallet such as Google Pay™ or Apple Pay® in the first 12 months, there are cards out there that offer higher ongoing rewards than the 1.5%. According to Wells Fargo, the Wells Fargo Cash Wise Visa® Card was launched for the nearly 60% of consumers who charge almost everything they buy in order to earn rewards and the 36% who say cash rewards are their favorite. And it goes above and beyond in terms of offering those customers plenty of flexibility in how they can redeem their rewards for cash. The Wells Fargo Cash Wise Visa® Card also gives cardholders an easy way to manage their cash-back rewards. Through Cash Track, a new feature available exclusively to Cash Wise cardholders through Wells Fargo's Online Banking, cardholders can view cash rewards, set a cash rewards goal, track progress, view lifetime cash rewards earnings and redeem rewards. There is lots to like about the Wells Fargo Cash Wise Visa® Card, especially for credit card users who seek simplicity when it comes to rewards. With the flat 1.5% cash back, you don't have to think about rotating categories or purchasing caps. Plus, there's that unique offer of an even higher introductory rewards opportunity of 1.8% for the first 12 months for cardholders who are tech-savvy and like to pay with their mobile wallet, such as Google Pay™ or Apple Pay®. There's also a neat little perk of getting up to $600 protection on your cellphone against damage or theft, of course subject to a $25 deductible, whenever you use your Cash Wise Visa® Card to make your monthly cellphone payments. And, just for good measure, you can take advantage of a 0% intro APR for 12 months on purchases and balance transfers (fees apply), then a 16.24%-28.24% Variable APR; balance transfers made within 120 days qualify for the intro rate and fee. Between the intro APR offers, the easy-to-understand rewards and great flexibility in how you can redeem your cash back rewards, the Wells Fargo Cash Wise Visa® Card is an excellent option for cardholders in the market for a new cash-back credit card. This is a flat-rate rewards card, which means you'll accrue steady rewards, but not necessarily write-home-about rewards. If you know you have the organizational prowess and determination to use a rotating categories cash-back card, you'll likely earn greater rewards going that route. Additionally, this probably isn't the card you'll want to use when you travel abroad as there is a 3% foreign transaction fee charged on each purchase made outside the United States. Lastly, if you plan to take advantage of the 0% APR intro on balance transfers (then, 16.24%-28.24% Variable), be aware that you'll pay balance transfer fees and transfers must be made within 120 to qualify. 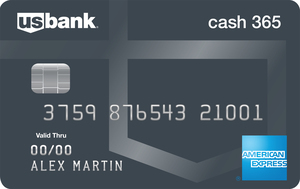 Unlike the Wells Fargo Cash Wise Visa® Card, the Blue Cash Preferred® Card from American Express (American Express is a CardRatings advertiser) features cash-back rewards in tiered categories, so your earning potential could be greater with the Amex card if you spend often in the bonus categories. You'll earn 6% back on purchases at U.S. supermarkets (up to $6,000 in purchases annually, then 1% after that); 3% at U.S. gas stations and 1% back on all other purchases. 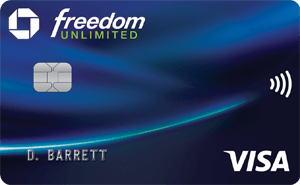 Chase Freedom Unlimited® is another flat-rate cash-back credit card, but it has a twist. New Chase Freedom Unlimited® cardholders earn 3% cash back on up to $20,000 in purchases during the first year, then 1.5% back on all purchases. Still, the Wells Fargo Cash Wise Visa® Card offers both a $200 bonus offer as well as bonus cash back on qualifying mobile wallet purchases like those with Google Pay™ or Apple Pay® for the first 12 months. Since neither card has an annual fee, the decision here might come down to whether you already have a relationship with Wells Fargo or if you want to combine Chase Ultimate Rewards® earned with your Chase Freedom Unlimited® with another credit card in the Chase family. Neither the Wells Fargo Cash Wise Visa® Card nor the Barclaycard CashForward™ World Mastercard®Barclaycard CashForward™ World Mastercard® charges an annual fee, and both cards come with 0% offers for new customers on balance transfers – 15 months for the Barclaycard CashForward™ World Mastercard®Barclaycard CashForward™ World Mastercard® compared to 12 months with the Wells Fargo card (then, 16.24%-28.24% Variable); balance transfers made within 120 days qualify for the intro rate and fee. You'll earn 1.5% cash back on all your purchases with either card, though the Barclaycard CashForward™ World Mastercard®Barclaycard CashForward™ World Mastercard® offers a 5% cash rewards redemption bonus each time you redeem. For example, if you redeem a $50 reward, $2.50 will be applied toward your next redemption, so the rewards are slightly better with the Barclaycard. As far as downsides, you'll pay a 3% foreign transaction fee with either card. With the Barclaycard CashForward™ World Mastercard®Barclaycard CashForward™ World Mastercard®, you can redeem your cash rewards for a deposit into a bank account, for a statement credit or for gift cards, but the Wells Fargo card certainly wins out when it comes to redemption options. That "redeeming via ATM withdrawal" is truly unique. Credit card customers looking for an affordable credit card that offers easy-to-understand cash-back rewards should take a close look at the Wells Fargo Cash Wise Visa® Card. With no annual fee and a generous 0% offer on purchases and balances for 12 months (then, 16.24%-28.24% Variable); balance transfers made within 120 days qualify for the intro rate and fee, the Wells Fargo Cash Wise Visa® Card is a decent choice. Its reward rate is competitive with other flat-rate cards at 1.5% and the added boost to 1.8% for a year for customers who like to pay with qualifying mobile wallet options is a nice touch. If you like your credit card rewards simple and unlimited, this is a good card to check out.